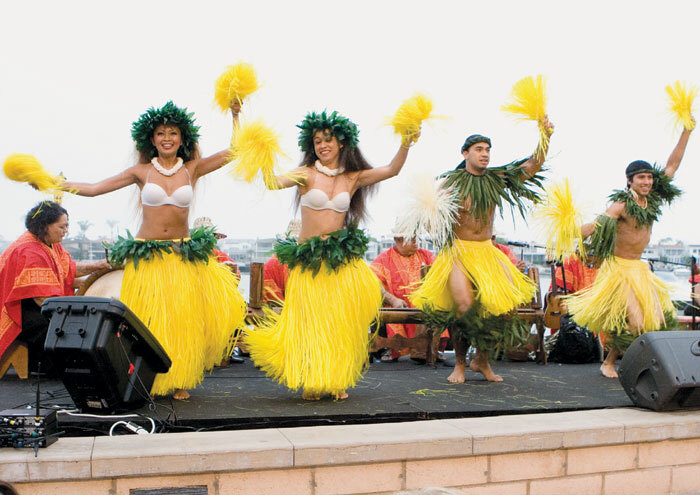 NEWPORT BEACH — Grass hula skirts and Hawaiian-theme drinks were all part of Balboa Bay Club’s 65th anniversary celebration that brought members out for a night of fun in June. The Hawaiian Burger Bash Luau helped to commemorate the club’s anniversary, with close to 1,050 members and their guests in attendance. Guests wore luau gear and entertainment included Polynesian dancers and a fireworks finale. Kids had fun at a lei-making station and adults enjoyed the island-theme drinks. Sand art, fire dancers and hula lessons were also offered. “It was a wonderful evening talking and reminiscing with members about memories from the past 65 years,” said Malcolm Smith, director of club operations. Earlier this year, Balboa Bay Club & Resort announced it would be separating its official name to help distinguish the private Balboa Bay Club and the open-to-the-public Balboa Bay Resort, a full-service waterfront resort located on the same property. Balboa Bay Club, a private waterfront club founded in 1948, offers its members exclusive access to a private beach, waterfront pools and restaurants, along with a spa and a fitness center. Members also enjoy numerous members-only events throughout the year. On the weekend of July 13, the Members’ Grill reopened after undergoing extensive renovations. The private restaurant was expanded, and windows and walls have been replaced with floor-to-ceiling glass partitions that open. A new menu has also been added. The members-only restaurant and lounge will be open seven days a week for lunch and dinner.